This home was that of John Moses Browning who earned international prominence for his revolutionary designs of sporting and military firearms. John was the son of Jonathan Browning and Elizabeth Caroline Clark, one of his father’s three wives. The Brownings had moved to Utah as part of the migration of members of The Church of Jesus Christ of Latter-Day Saints. Jonathan was a gunsmith; as a young boy, John spent hours in his father’s shop. He filed his first patent for the “J.M. Browning Single Shot Rifle” in 1879. (Eventually he held 128 patents.) 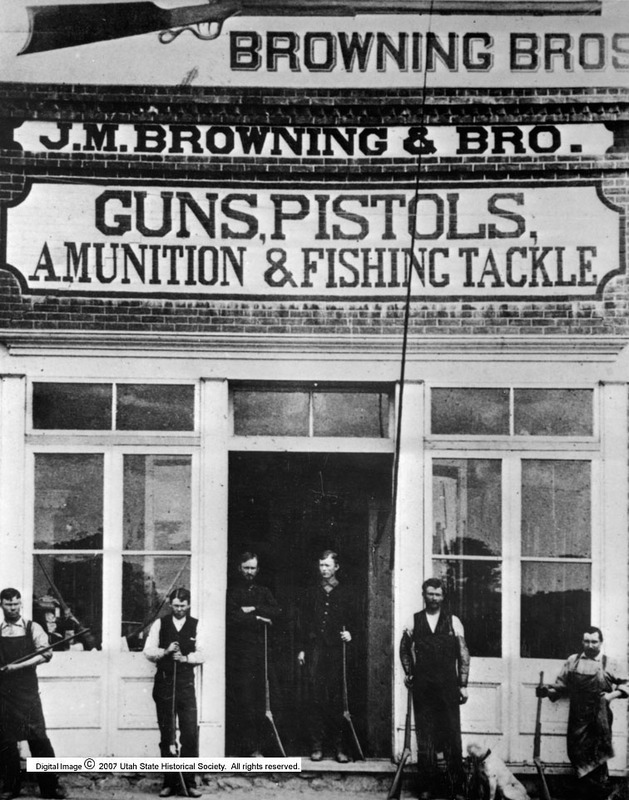 The year before, he had co-founded with his younger brother the John Moses and Matthew Sandifer Browning Company, later renamed Browning Arms Company. The firearms they designed caught the attention of the Winchester Repeating Arms Company. From 1883, Browning worked in partnership with Winchester to produce a series of rifles and shotguns. About 1900, Browning invented the first auto-loading shotgun and moved his family into their new home, designed by architect Sam Whittaker. The home is two and a half stories. Its exterior is made from a combination of sandstone, smooth bricks and rippled natural looking brick. Its beautiful exterior is enhanced by big, clear, intricately shaped windows. 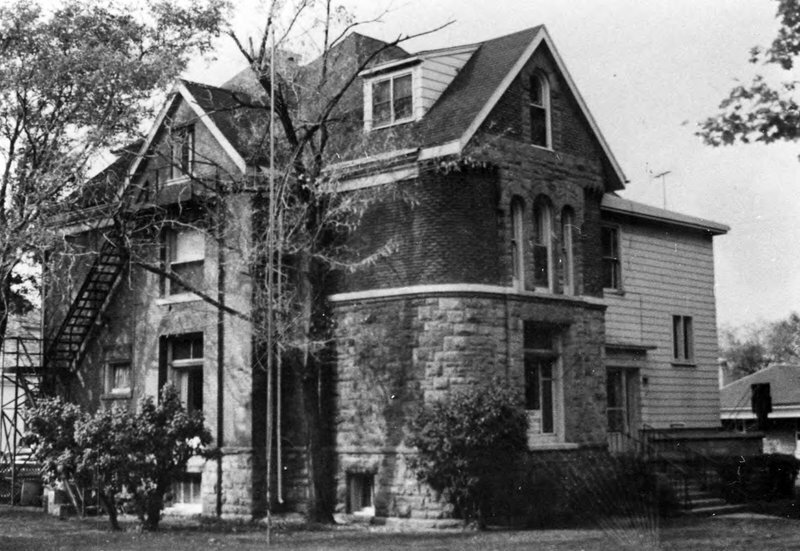 The home remained the residence of the family until around 1940 when it was converted into an apartment building.The building was purchased by the Y.W.C.A. in 1946 and was used as a women’s shelter until it was purchased by a law firm and used as office space. The home was listed on the National Register of Historic Places in 1973. In 2001 a family moved in and renovated the home then put it up for sale in 2011. 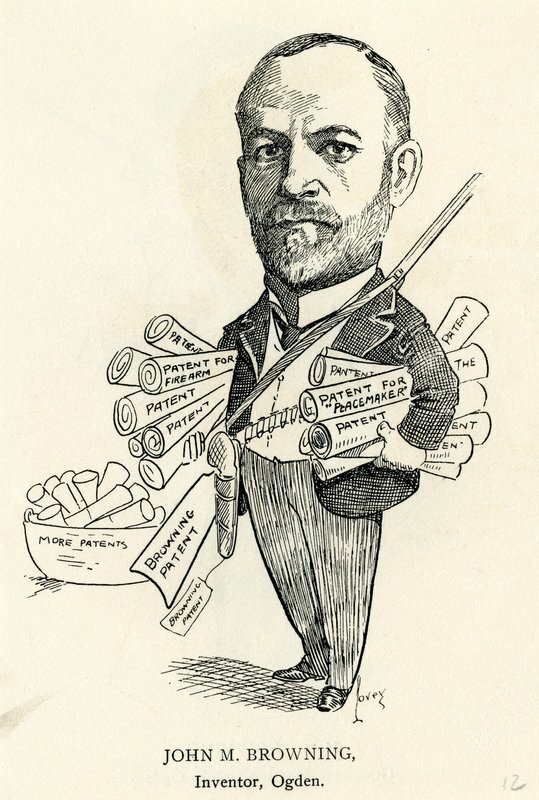 The home is privately owned so access is unfortunately restricted but it is a great reminder of the man who changed the history of firearms forever and left a lasting mark on the history of Ogden and of Utah. John M. Browning Home ~ Source: Used by permission from the Utah State Historical Society, photo no. 7341,https://collections.lib.utah.edu/details?id=44622. Ad for Browning Brothers Arms & Sporting Goods ~ Source: Available at Browning website, http://www.browning.com/. J.M. Browning & Bro. arms store in Ogden, Utah ~ Source: Available at Browning website, http://www.browning.com/. “The Trap Shooting Squad.”: The “Four B’s browning Arms Co. live bird team. 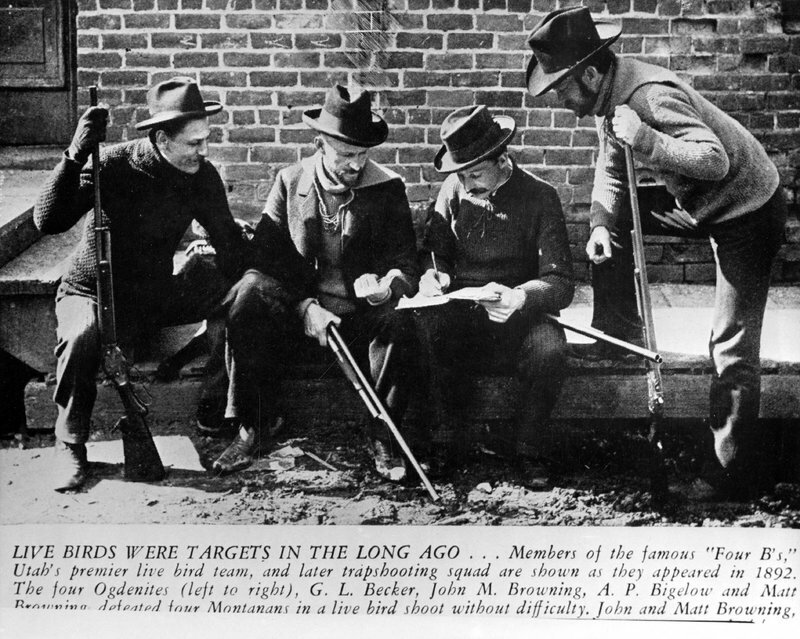 From left to right: Gus Becker, John M. Browning, A.P. Bigelow, and Matthew S. Browning ~ Source: Used with permission from the Utah State Historical Society, photo no. 17264, https://collections.lib.utah.edu/details?id=450461. 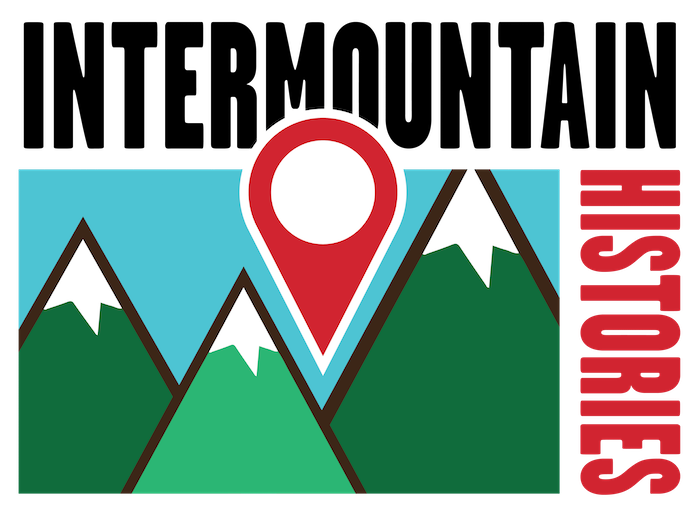 ,” Intermountain Histories, accessed April 20, 2019, https://www.intermountainhistories.org/items/show/268. Browning, John and Curt Gentry. John M. Browning, American Gunmaker. New York: Doubleday, 1962. Browning International S.A. John M. Browning Collection website, “The Brownings, One Genius of Invention and Four Generations of Mast Gunsmiths,” available at https://johnmbrowningcollection.com/pages/story.html. Mikita, Carole. Deseret News, “Home that Once Belonged to Gunmaker John Browning,” 23,July 2011. Miller, David. The History of Browning Firearms: Fortifications Around the World, Guilford, CT: Lyons Press, 2006. National Register of Historic Places, John Moses Browning Home, Ogden, Weber County, Utah. #73001863. National Register. Ogden Union Station website. “John M. Browning Firearms Museum,” available at http://theunionstation.org/john-m-browning-firearms-museum/. U.S. Patent Office, “Improvement in Breech-Loading Fire-Arms, #220,272, 10 May 1879.